In a worst blow to the Premier Futsal League, the President and the face of the event Luis Figo has pulled out of the event. 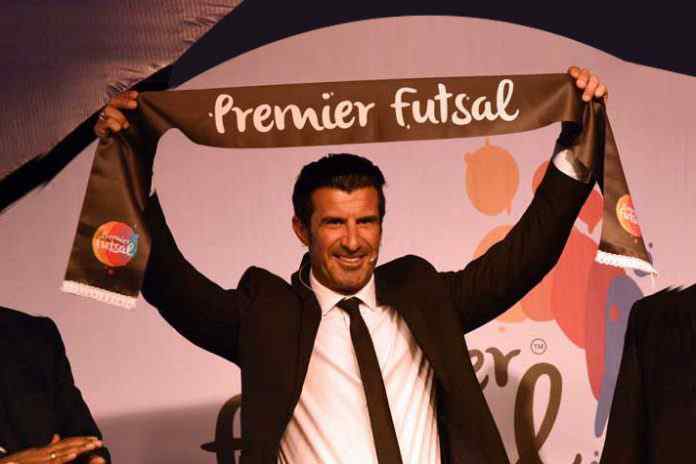 Portuguese footballing legend Figo resigned as the President of Premier Futsal on Tuesday. Figo, who had been associated with the multi-national Futsal league right from its inception in 2016, cited breach of contract as the reason for his resignation. “Figo is aware of all of the above and the reasons behind it, and he’s been kept informed completely. He’s been engaged for over 2 years as president and we’ve honoured all obligations including his quarterly salaries during this period except the final payment delay. Premier Futsal, a multi-national futsal tournament, was started in India in 2016. Some of the top footballers from yesteryears have taken part in this competition, namely Ryan Giggs, Ronaldinho, Paul Scholes, Hernan Crespo, etc. The league right from the inception is in financial troubles with no clear business model, credible franchises or sponsors. Sony ESPN who has been the broadcast partner of the league also was subdued in promoting the league last season. With Figo gone out of the system, the much-fancied league will further struggle to sustain itself in the season ahead.